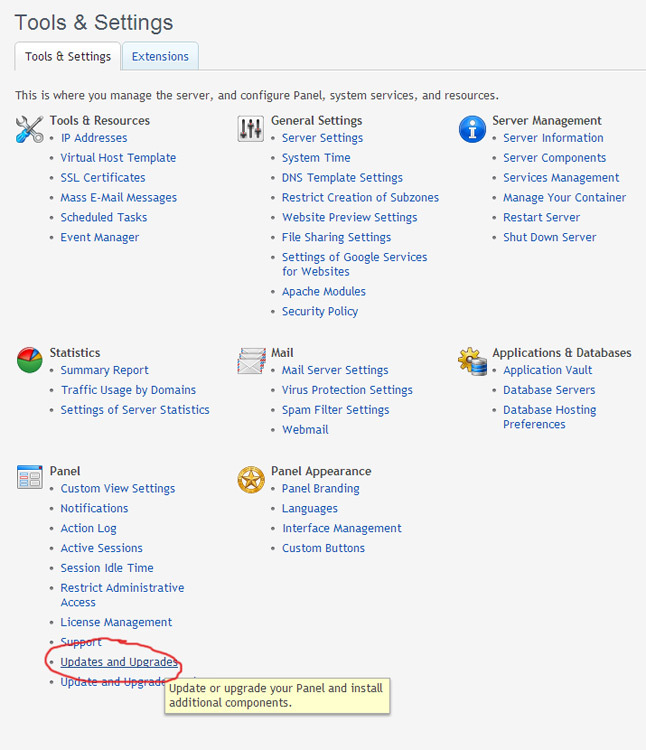 To enable Backup Manager in Plesk (I’m using the latest Plesk 11), first select the ‘Updates and Upgrades’ option under the ‘Panel’ menu in the main Server Tools and Settings area. 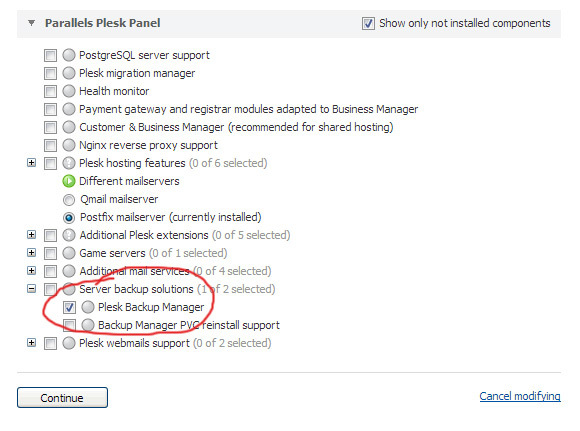 Then select ‘Add Components’ and ‘Plesk Backup Manager’ under ‘Server backup solutions’ and continue. An installation progress window will then appear which can take a couple of minutes to download, unpack and install the required files. Once complete, the Backup Manager option in Website & Domains should now be visible. Scheduling backups couldn’t be easier and I like to backup all the sites hosted on my VPS at least once a week. I set the backup to run early morning on a Sunday when the websites have least activity and don’t usually keep more that two backups on the server. 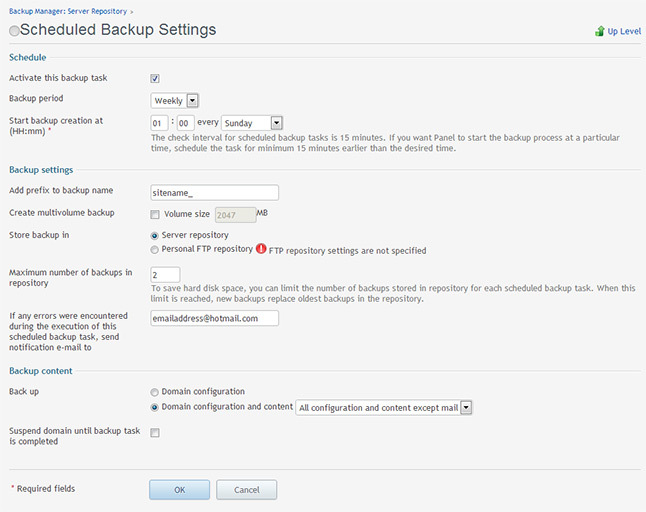 The screenshot below shows how these settings are configured with the ‘Scheduled Backup Settings’ option within backup manager. I would normally deselect the option ‘suspend domain until backup task is completed’. Since I don’t usually setup email direct within Plesk, I leave the content backup set to ‘All configuration and content except mail’. Hopefully you’ll never need to restore from a backup but it’s a good idea to check once in a while that the backups are still taking place. It’s a good idea to enter your email address in the settings in case any errors were encountered during the backup process.